Residential and Light Commercial Heating and Cooling Systems. Keeping the Cumberland, Maryland and the tri-state area warm in the winter and cool in the summer. 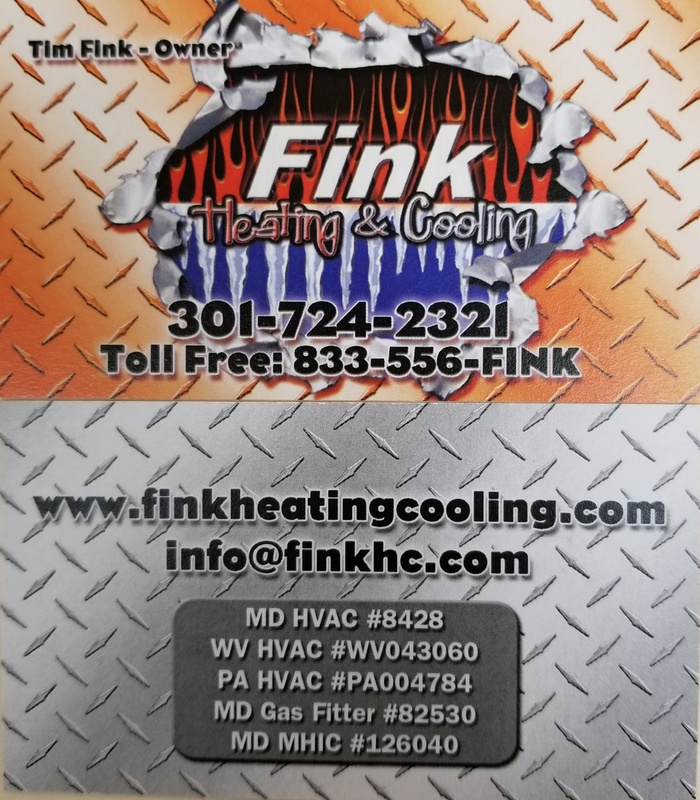 Fink Heating & Cooling was started so that we could provide the local area with an honest and trustworthy contractor who will get the job done in a professional and timely manner. We service the equipment that we sell and we offer a 1 year full craftsmanship warranty on any new system that we install. Services that we provide include: installation of Natural gas; l.p. gas furnaces and boilers; Geothermal heating & cooling; Heatpumps; Central Air Conditioning; and Radiant heat. Maintenance on your heating & cooling system is one thing that most people overlook and is an inexpensive way to keep your system running the way it is designed to operate. Call and make an appointment for service and maintenance on your existing system, or for a free estimate for replacement. We fully insure our work in Maryland, Pennsylvania, and West Virginia.